For the 17th time this season, the Salem Red Sox lost a game by a single run. This time, a two-out double by Joey Terdoslavich in the last of the eighth proved to be the difference in an 8-7 Hillcat victory over the Red Sox on Friday night at City Stadium. Salem had runners on second and third with one out in the top of the ninth, but Shannon Wilkerson struck out and Derrik Gibson flew out to end the game. For the second straight day, the Sox were an out away from entering the ninth in a tie ballgame, but a two-out rally changed the circumstances. Phil Gosselin’s two-out single off Tom Ebert gave the Hillcats life, and Terdoslavich delivered a double down the right field line, scoring Gosselin from first and giving Lynchburg an 8-7 lead. Things were relatively calm in the first half of the ballgame, as Salem entered the bottom half of the fifth with a 1-0 lead. 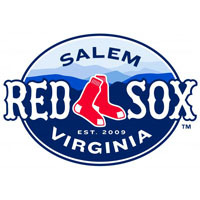 Stolmy Pimentel had tossed four three-hit innings in his most encouraging start in a Salem uniform before giving way to Anatanaer Batista in the fifth. Batista immediately gave up a solo home run to Marcus Lemon to tie the game at one. After a groundout, four consecutive Hillcats reached with Gosselin driving in two on an RBI single and Terdoslavich providing the exclamation point with a two-run blast to deep right field, giving Lynchburg a 5-1 advantage. Salem responded in the top of the sixth, though, off reliever Jeremy Haynes. The first three Red Sox reached on a bloop double, an error, and a single by Wilkerson that drove in a run. A sac bunt and a walk loaded the bases for Bryce Brentz, who delivered a two-run single through the hole on the left side to bring Salem within one. Dan Butler, who already had an RBI single to his credit back in the first, launched a towering shot that cleared the wall in left for a three-run homer to give Salem the lead back at 7-5. Butler’s 11th jack of the season capped off a four-RBI performance for Butler, who has now driven in 24 runs in 16 games against the Hillcats. In the last of the sixth, Ebert entered and yielded a one-out solo shot to L.V. Ware to slice the lead in half. Keenan Wiley followed with a double and later scored on an RBI single by Gosselin. The Hillcat second baseman was 3-for-5 with three runs driven in, a total match by Terdoslavich, who went 2-for-4 on the night. Ebert bounced back to strike out the side in the seventh and the first two batters in the eighth before allowing the Hillcats to rally for the series-opening victory. Butler’s three-hit performance extended his hitting streak to five games, during which he has batted .444 (8-18) with six RBI. Kolbrin Vitek saw his nine game hitting streak come to a close, but reached base safely for the 17th time in his last 18 contests. Falling by a single run for the second consecutive game, the Red Sox attempt to turn the tide with Drake Britton on the mound on Saturday at 6:05 PM. The Hillcats will counter with David Hale.